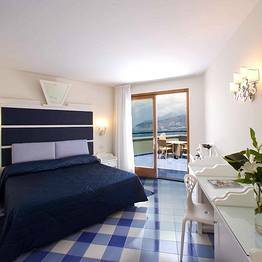 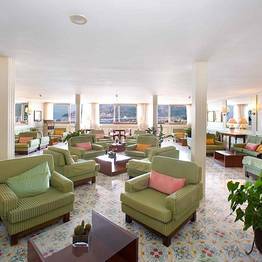 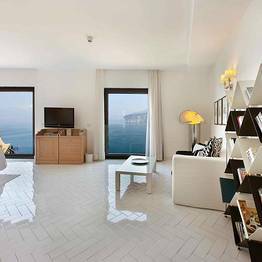 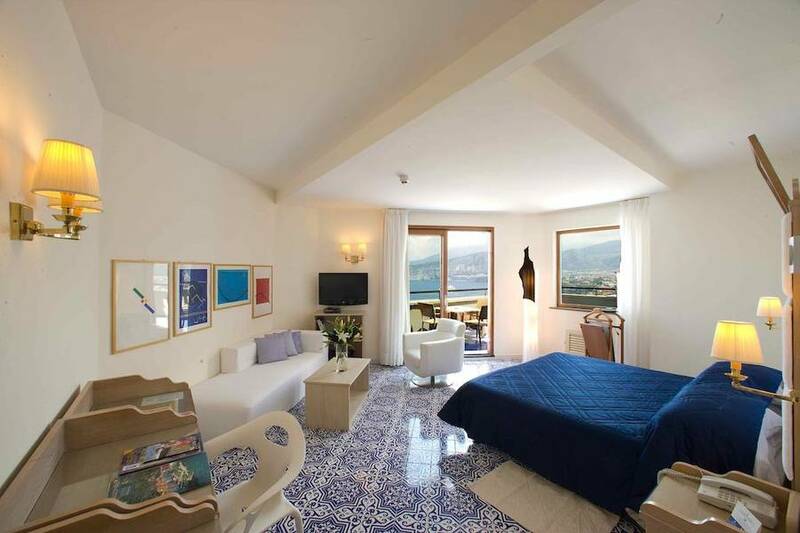 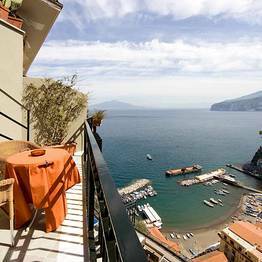 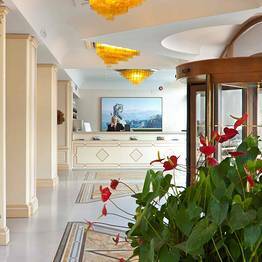 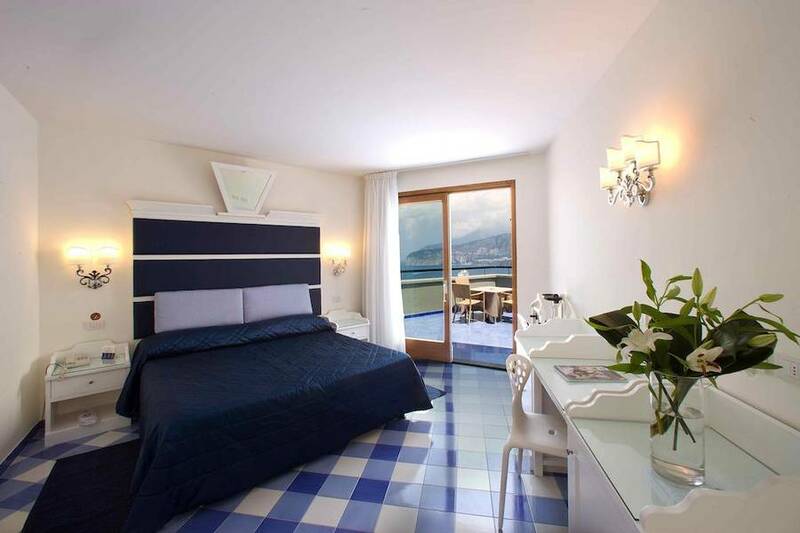 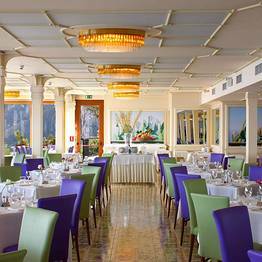 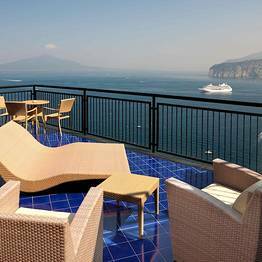 With its terraces overlooking the sparkling blue waters of the Gulf of Naples, the Hotel Bristol is your home-away-from-home in heavenly Sorrento, Italy. 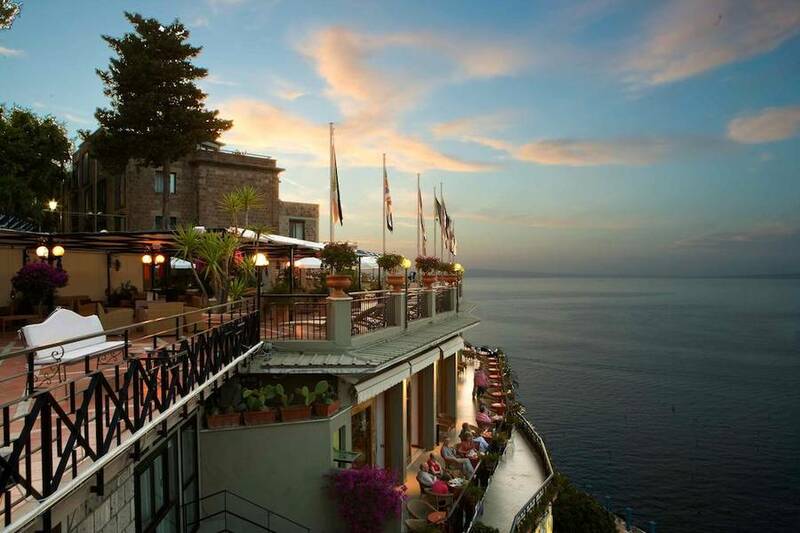 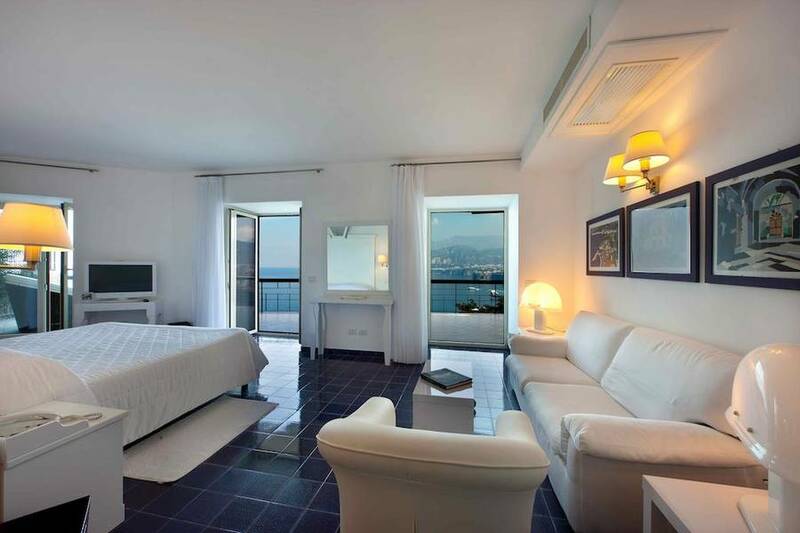 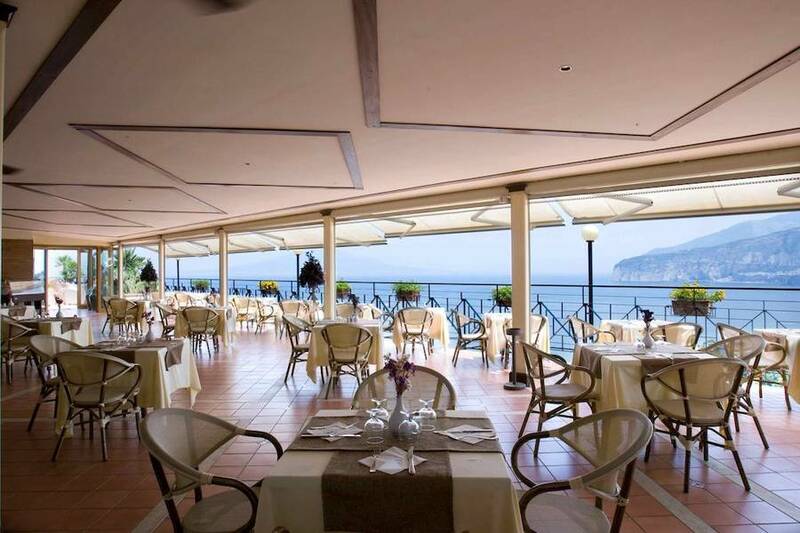 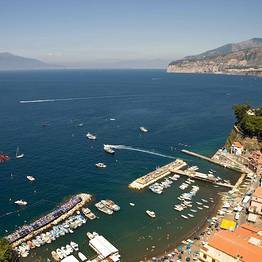 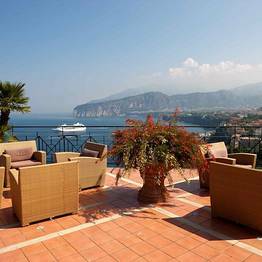 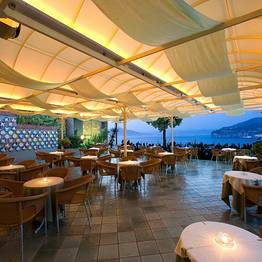 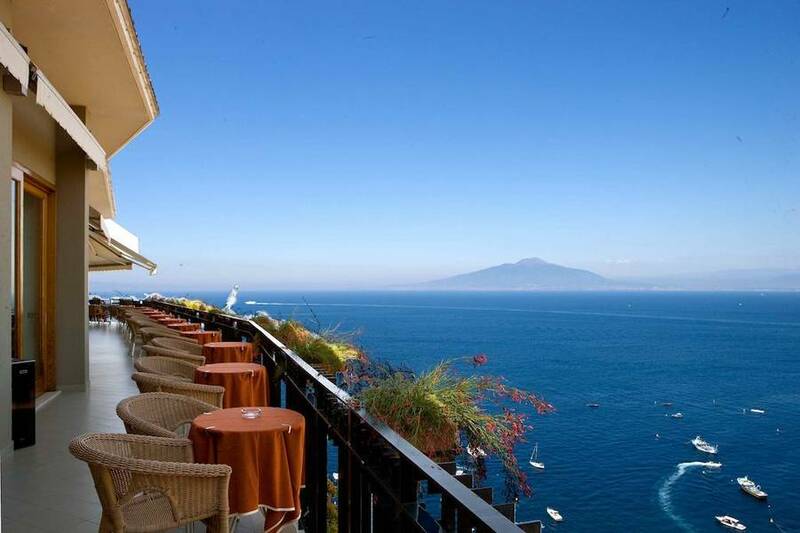 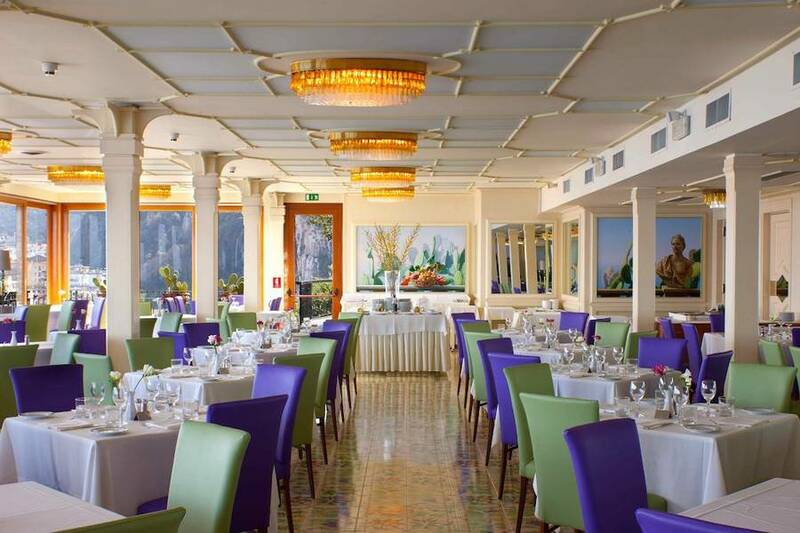 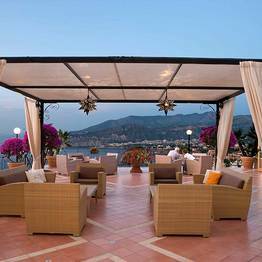 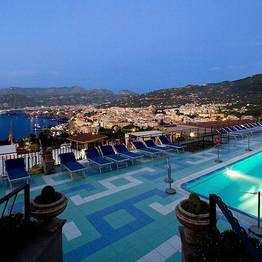 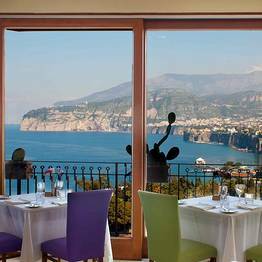 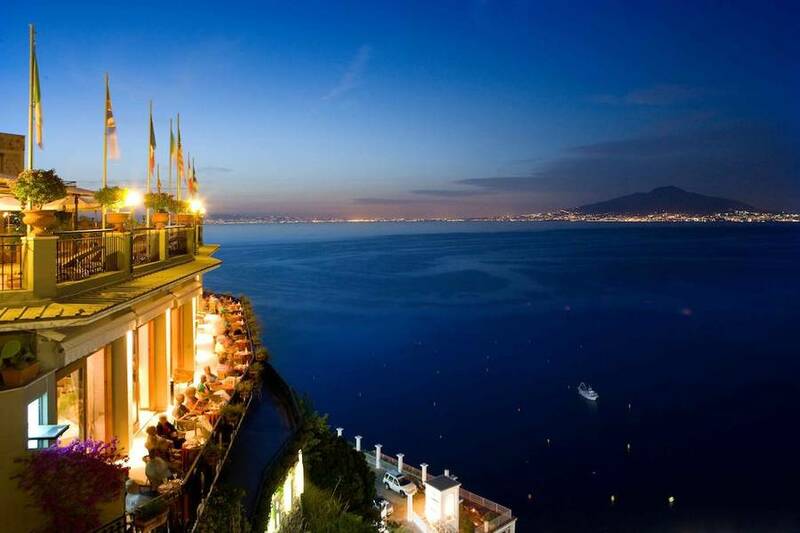 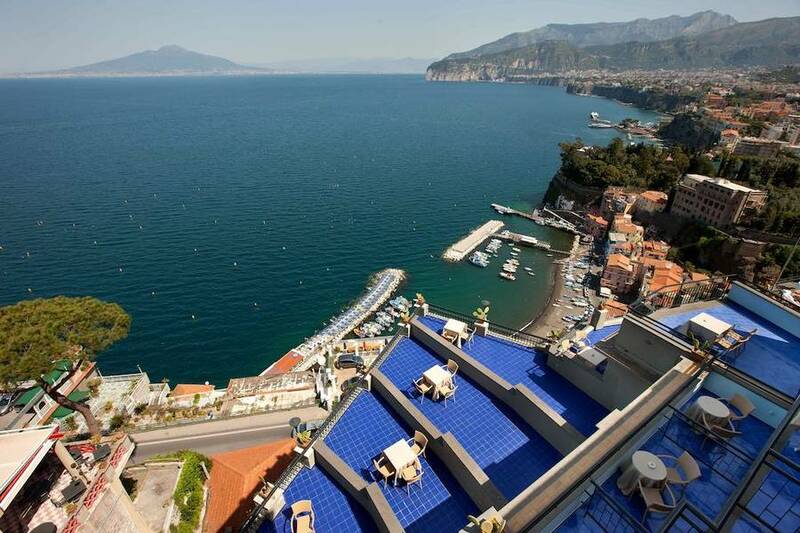 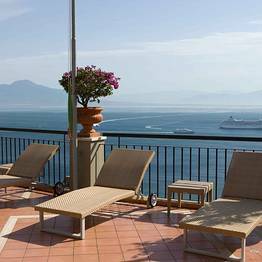 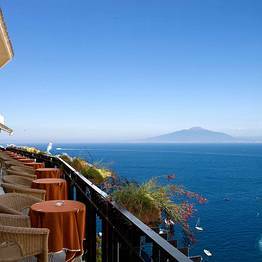 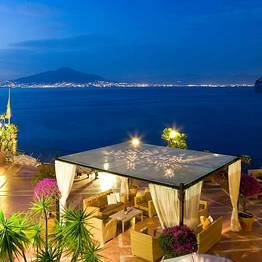 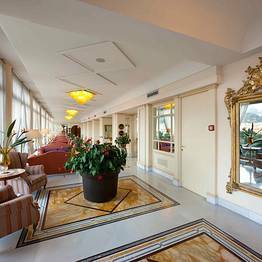 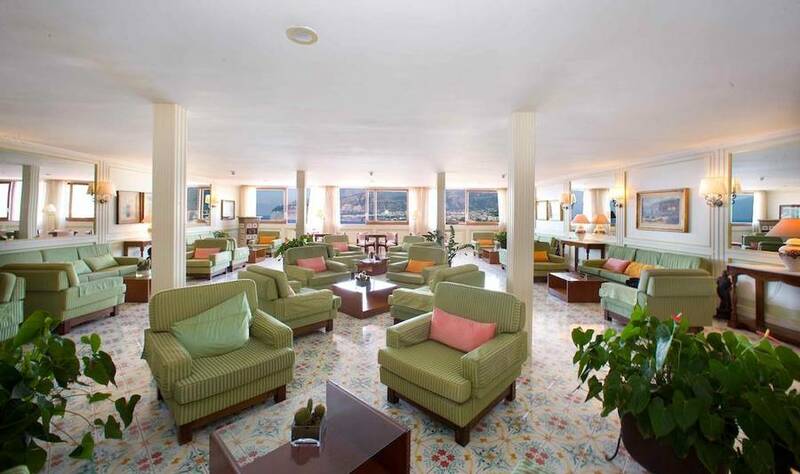 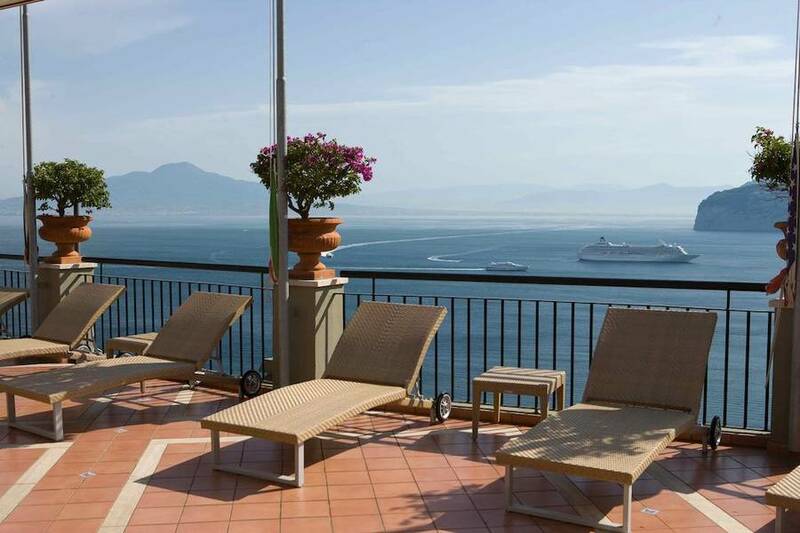 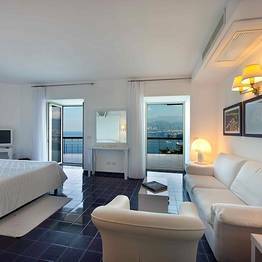 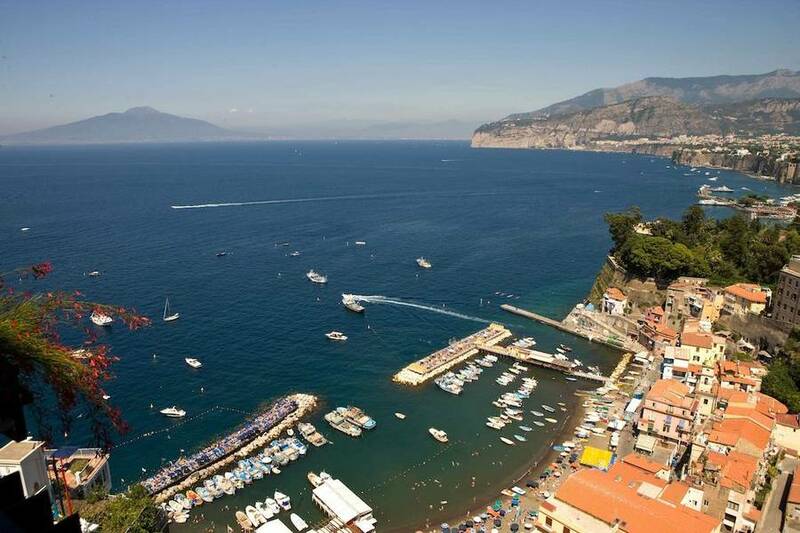 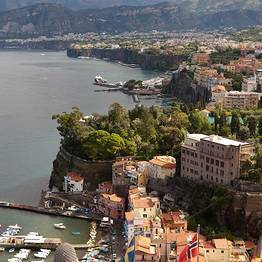 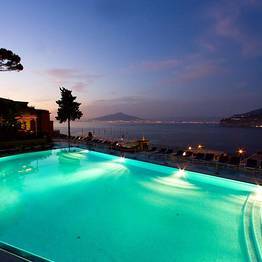 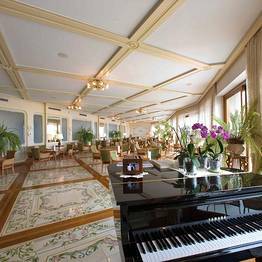 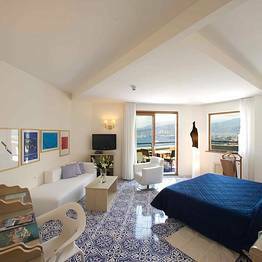 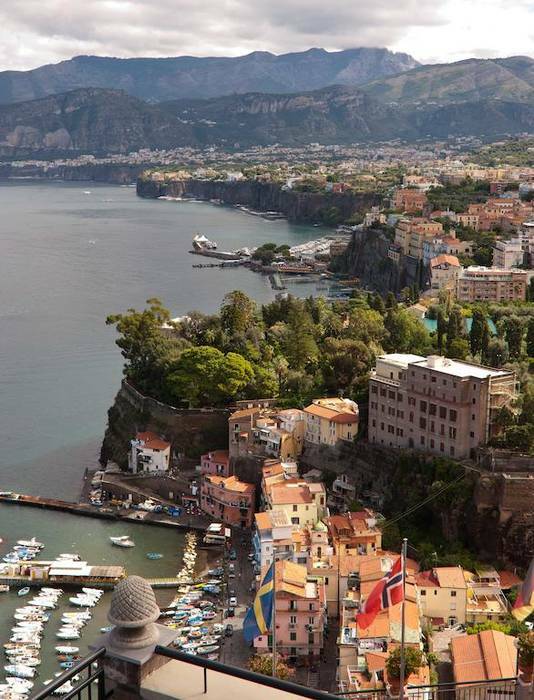 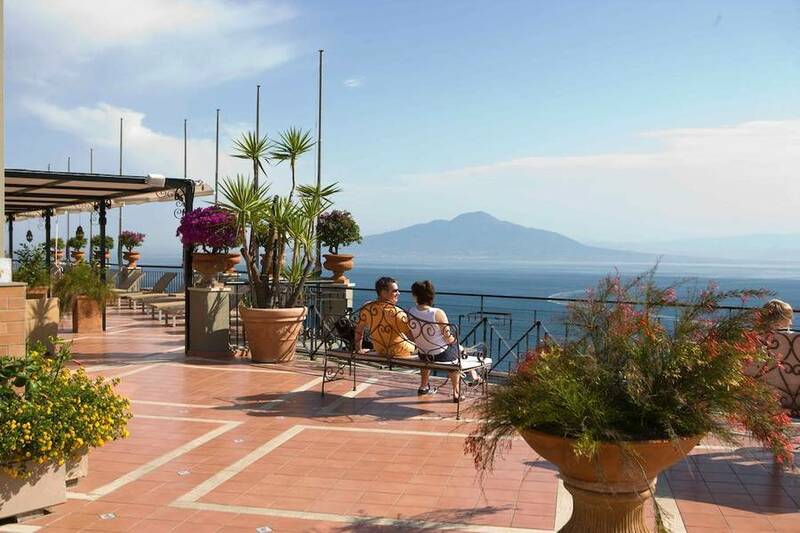 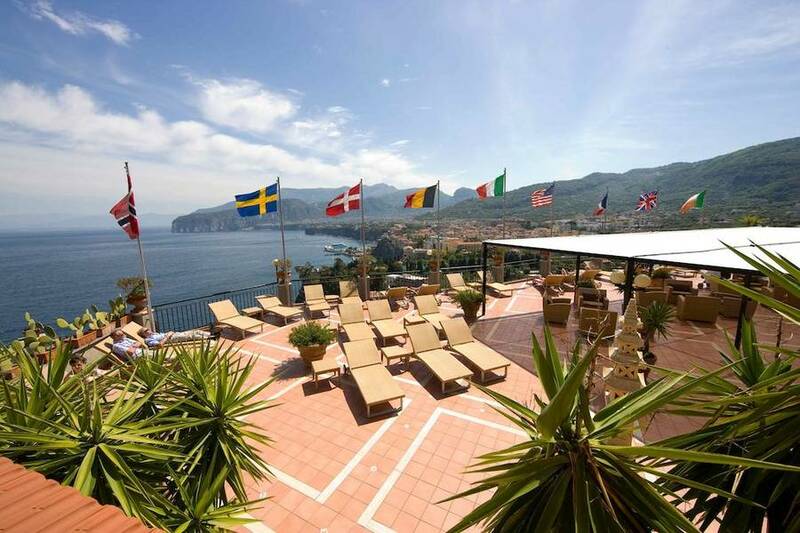 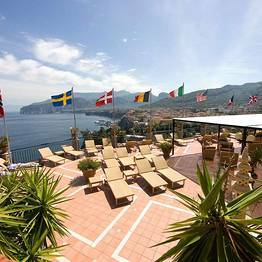 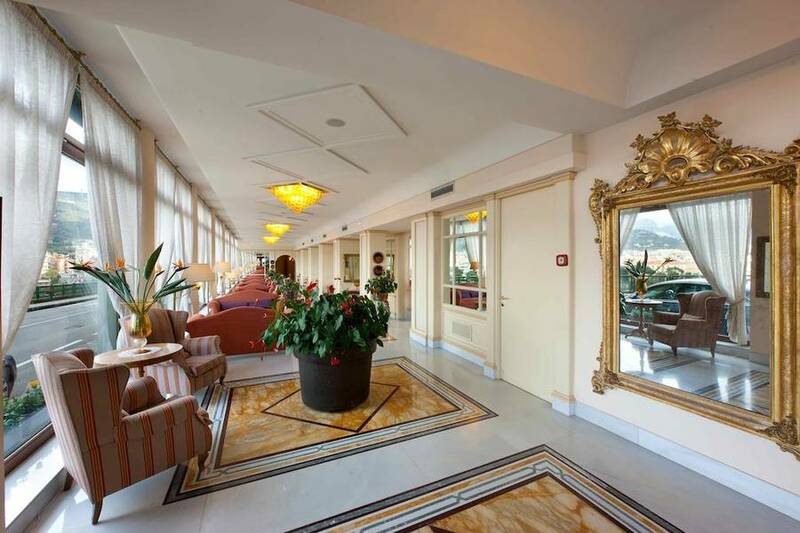 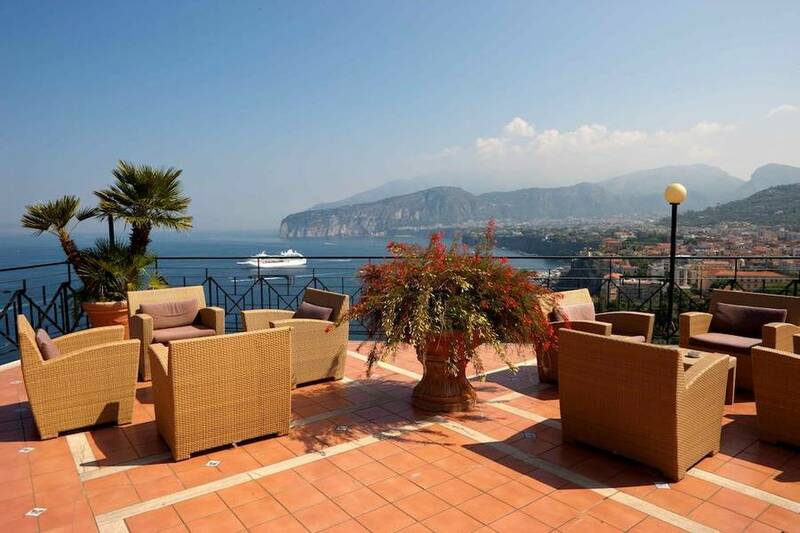 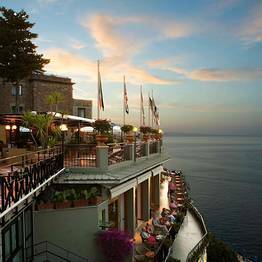 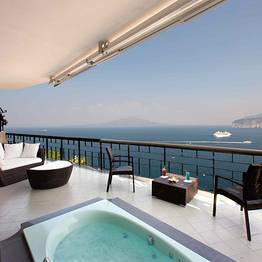 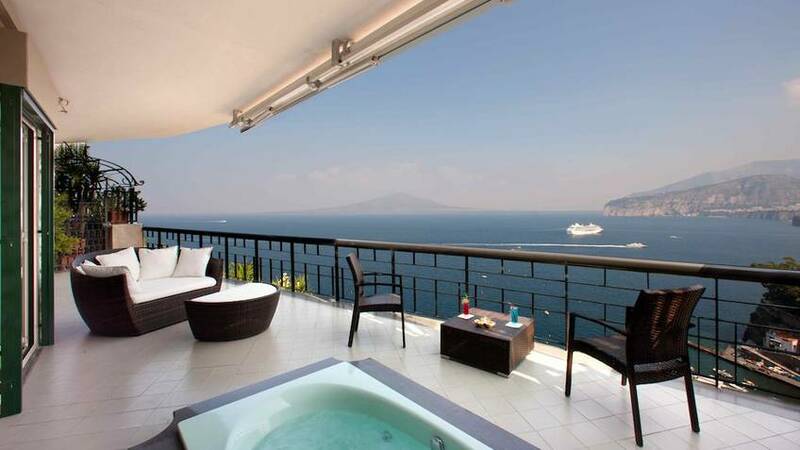 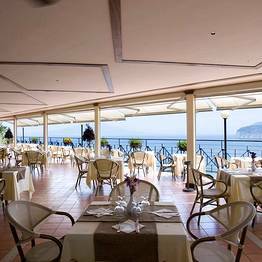 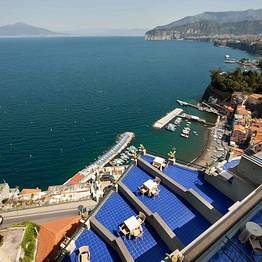 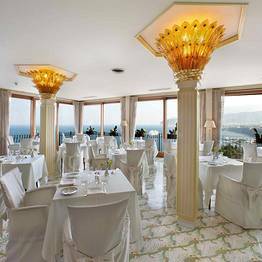 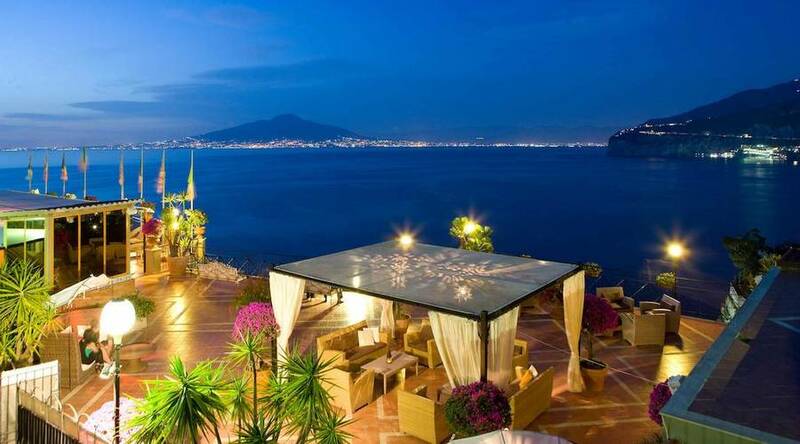 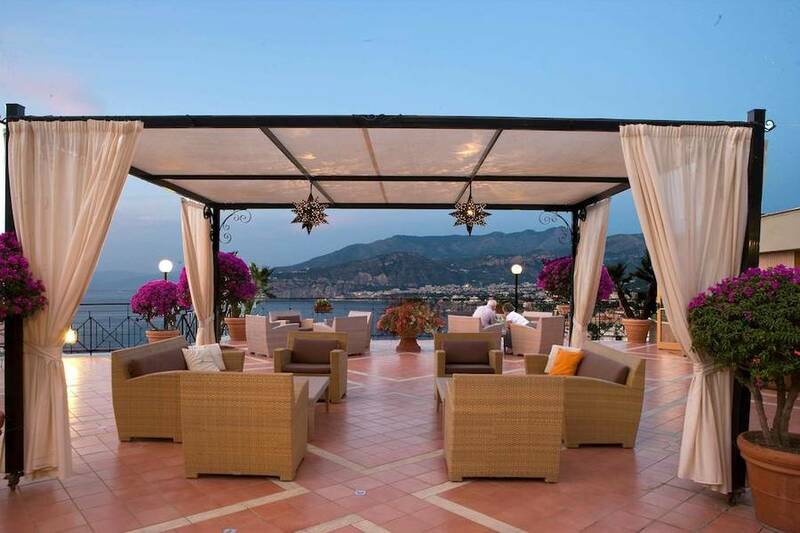 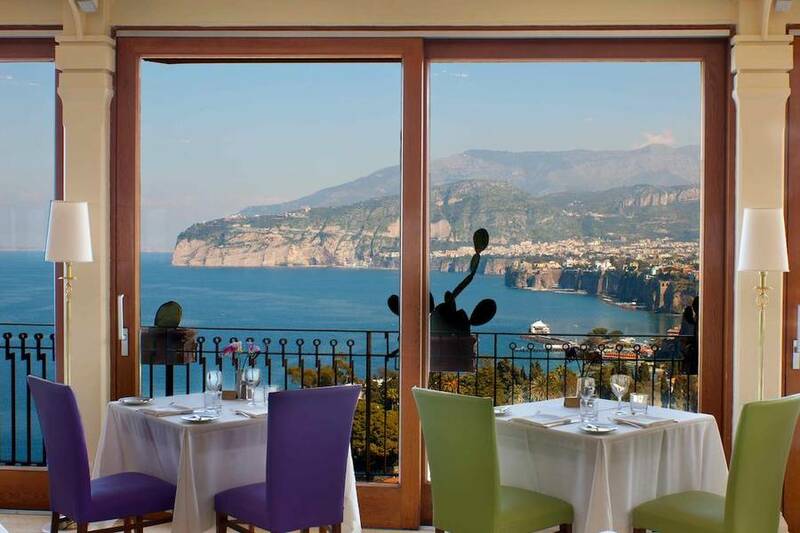 Set on the rocky cliffs along one of the most picturesque stretches of the Sorrento Peninsula, Hotel Bristol boasts one of the most breathtaking views over the Gulf of Naples from its terraces, with a panorama stretching from Pompeii to the towering peak of Mount Vesuvius. 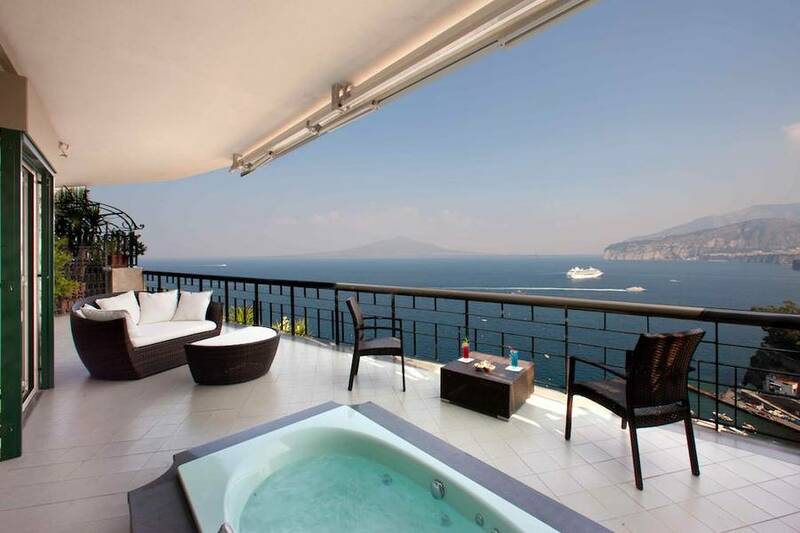 You don't have to splurge on a suite to enjoy the stunning views from your room. 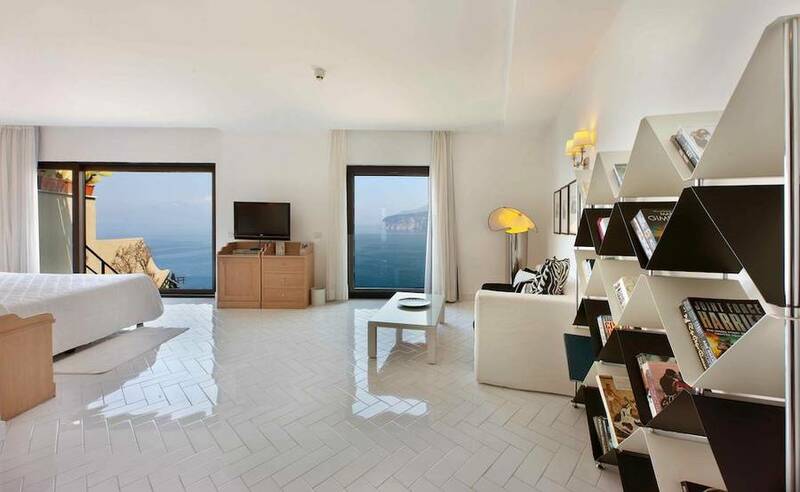 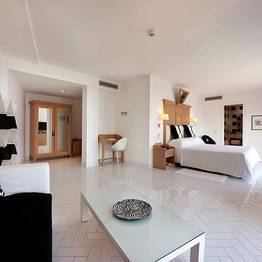 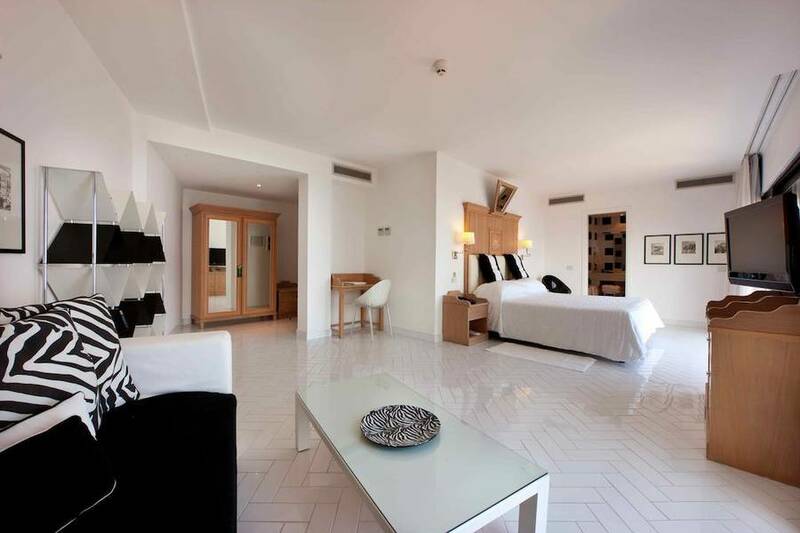 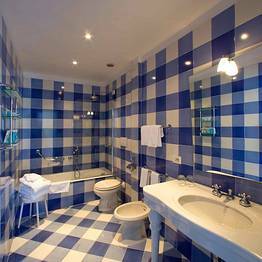 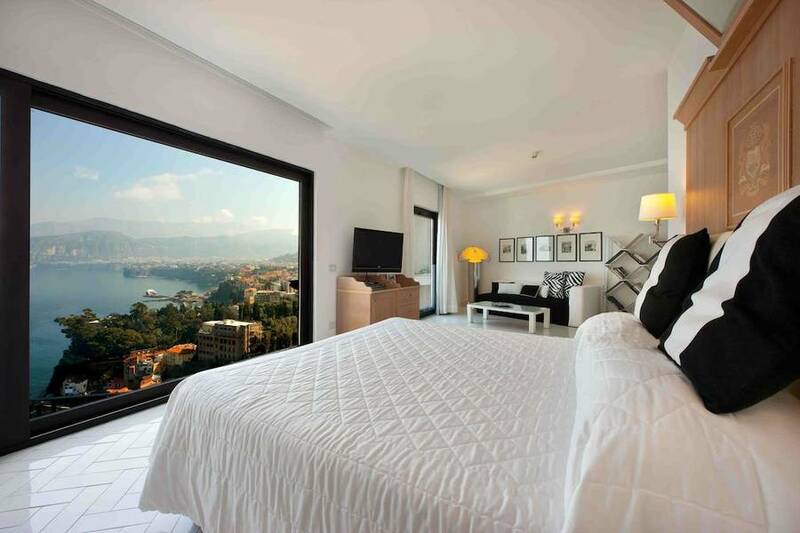 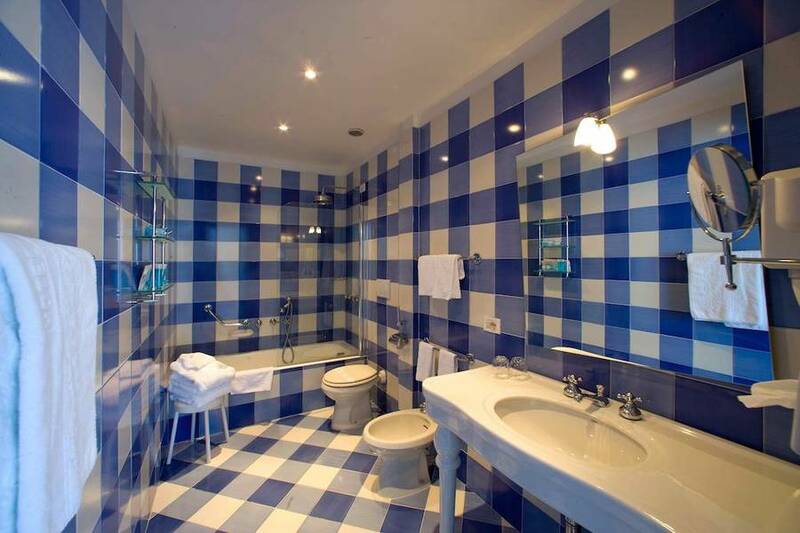 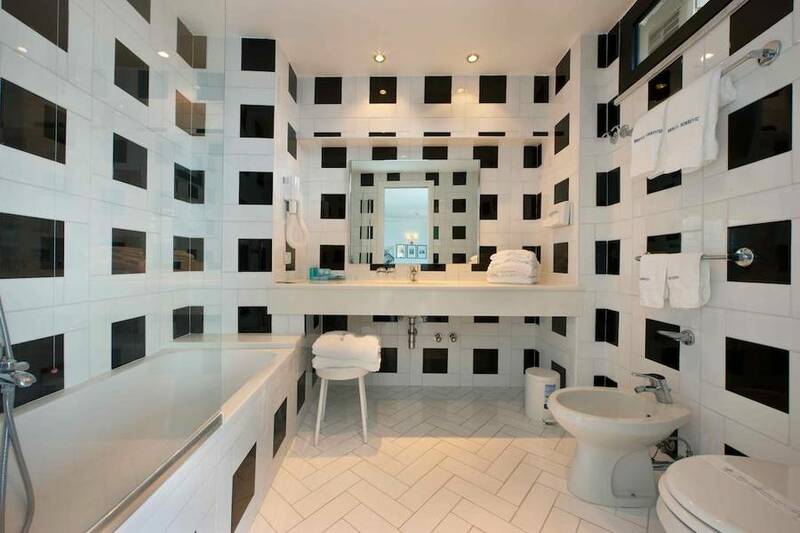 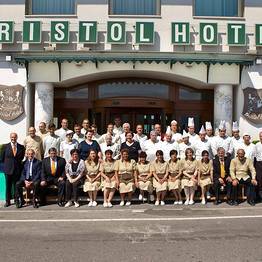 At Hotel Bristol, a full 90% of the guest rooms boast a view of the sea. 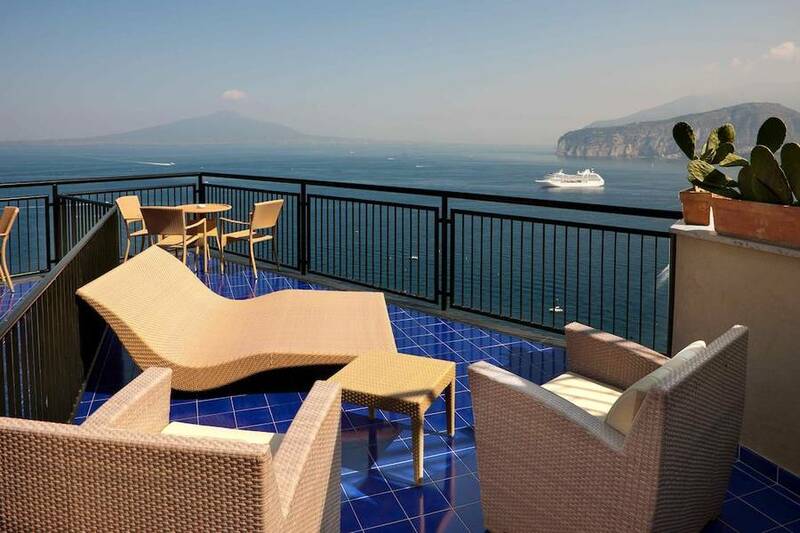 From your balcony, outside your window, all around you: just endless blue water and sky from every vantage point which blends perfectly with the nautical colors of the hotel decor. 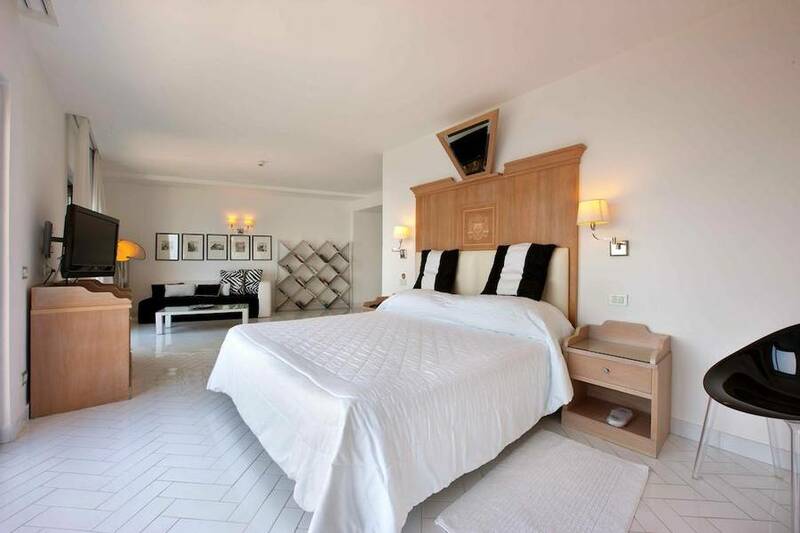 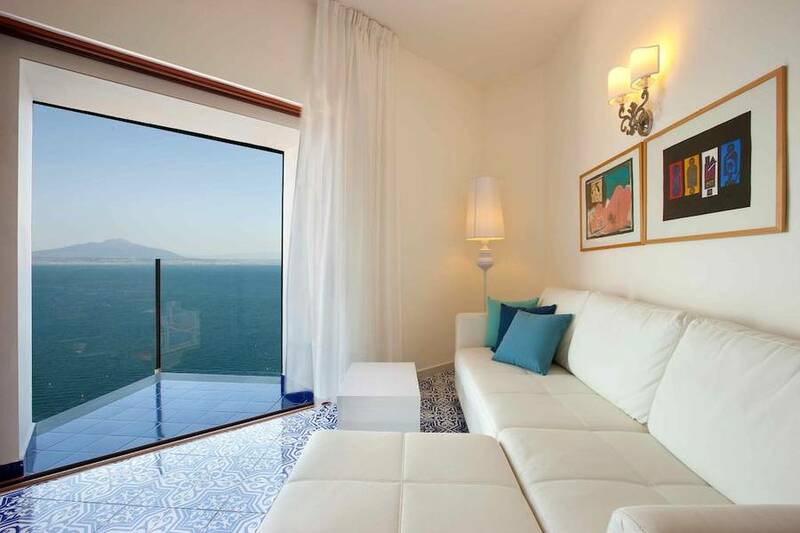 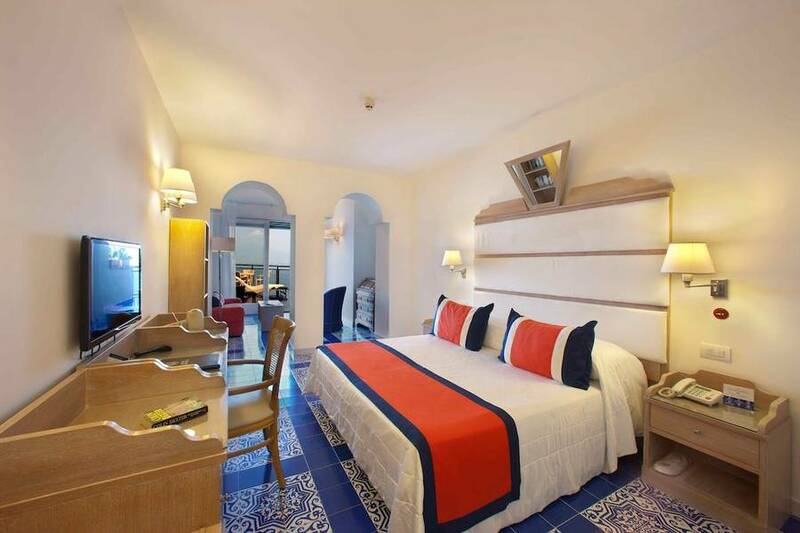 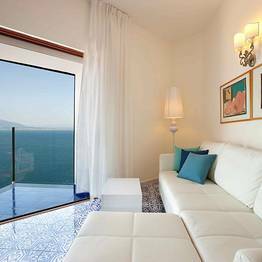 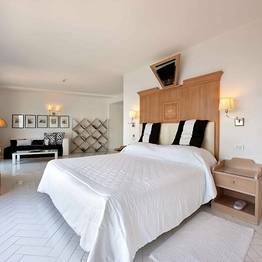 Indulge in complete Mediterranean-style relaxation in a junior suite, where you can breathe in the sea breeze from your private terrace while you take a soak in your own hot tub with a view. 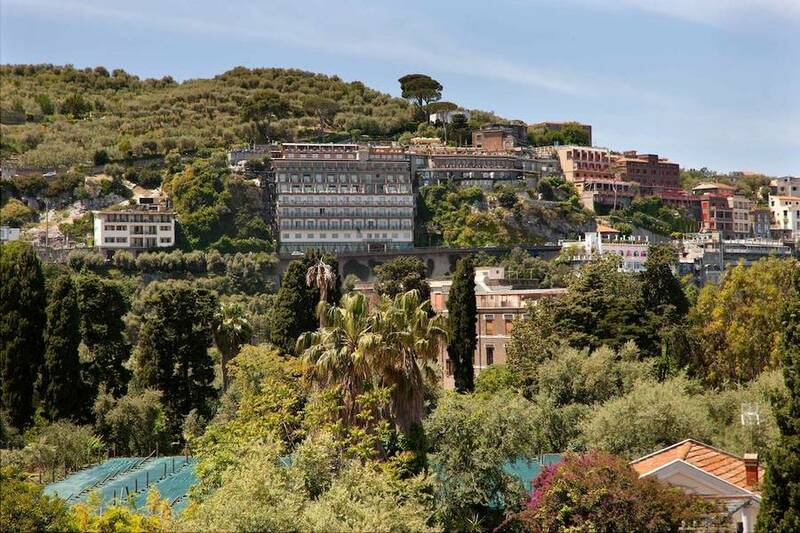 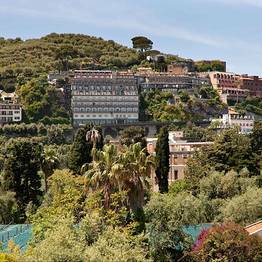 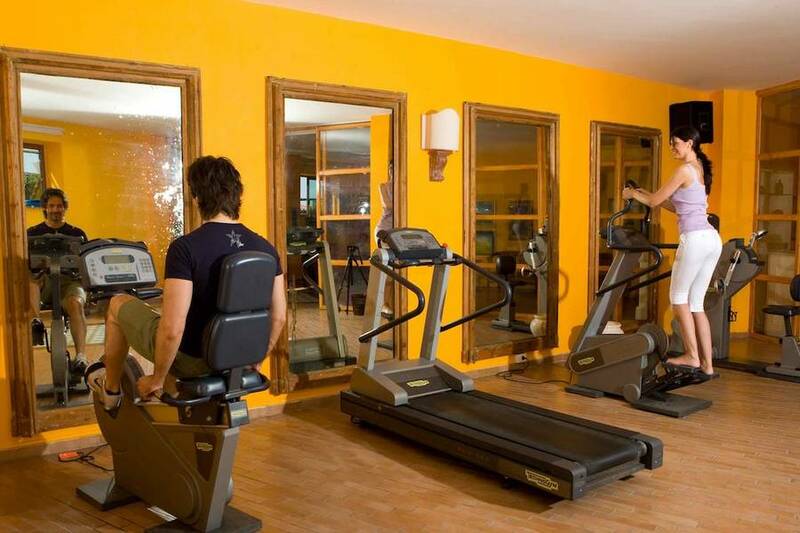 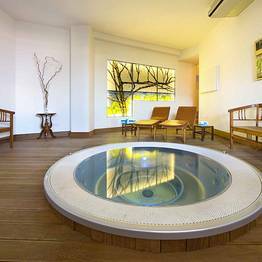 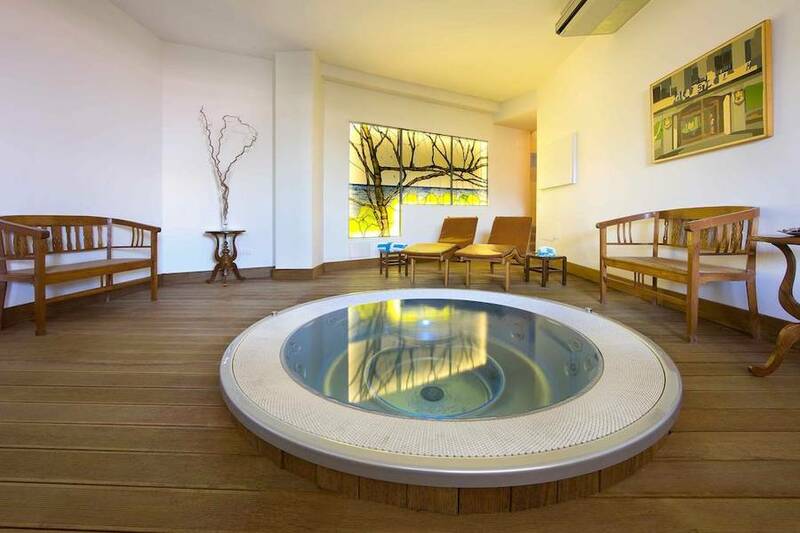 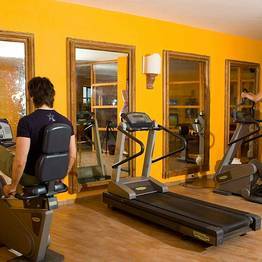 Hotel Bristol offers all you need for the Italian vacation of your dreams: a garden lush with flowers and plants, a relaxation area with a ping pong table and minigolf; and a wellness area with a fitness room and sauna. 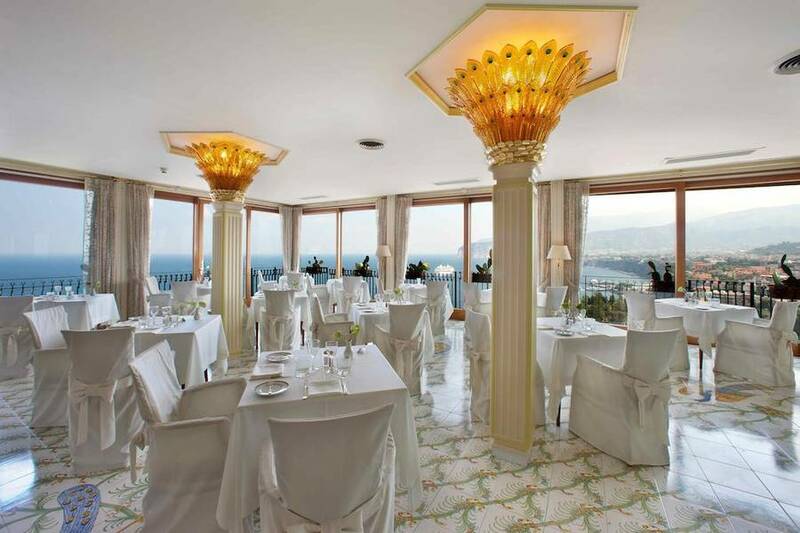 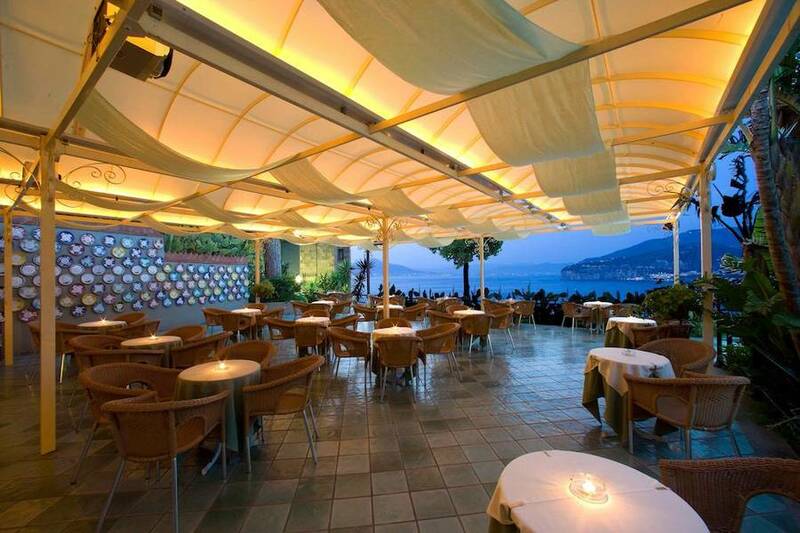 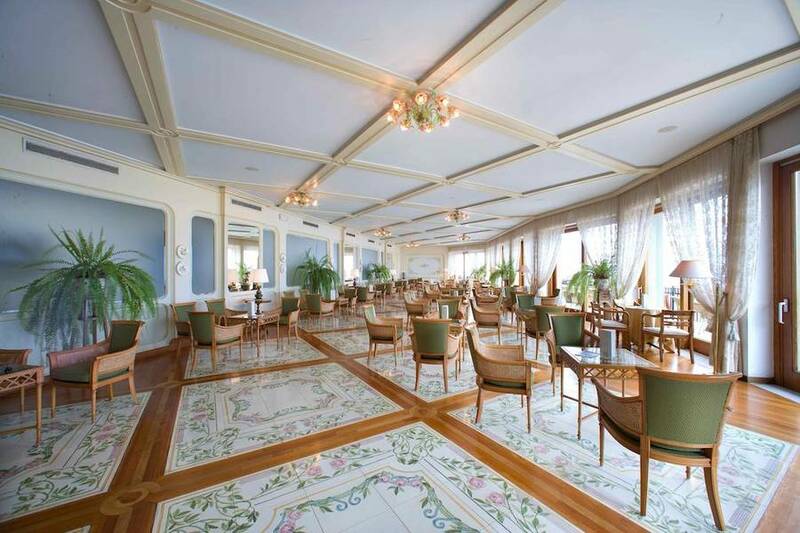 In addition, the hotel offers excellent local and international cuisine in its two restaurants, one of which is an open-air rooftop dining room. 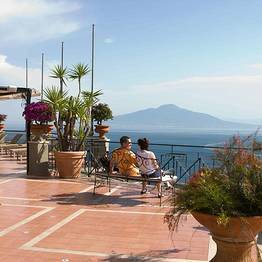 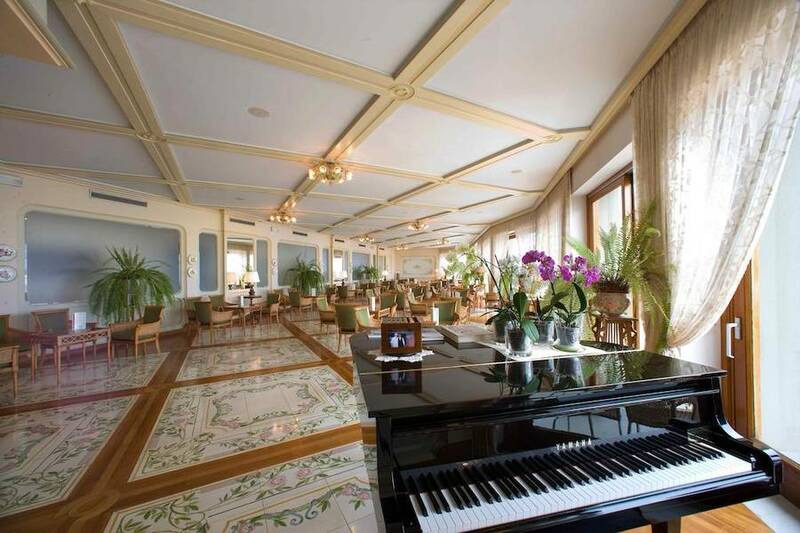 Just a ten minute walk from the center of Sorrento and along a bus route with a stop right next to the hotel entrance, Hotel Bristol is located in a quiet residential area, offering guests the possibility to enjoy all the beauty of the Sorrento peninsula from a serene oasis far from the chaos of the tourist centers. 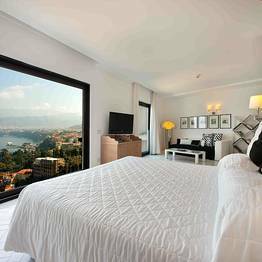 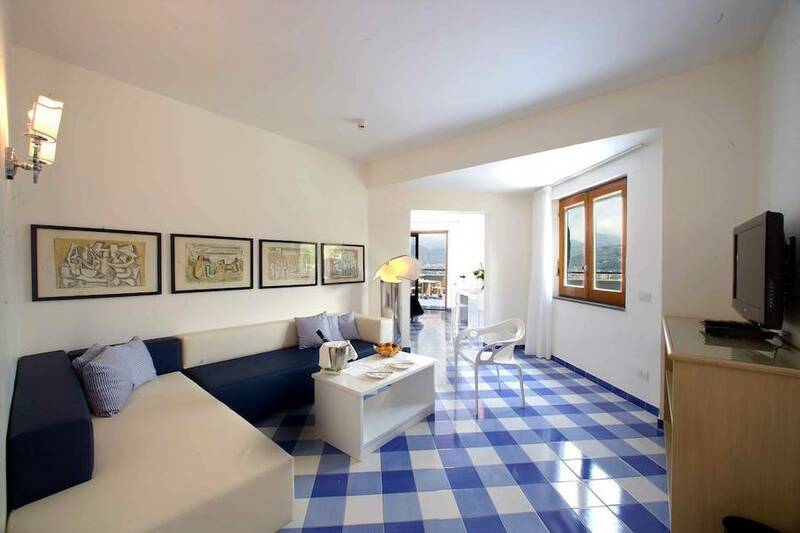 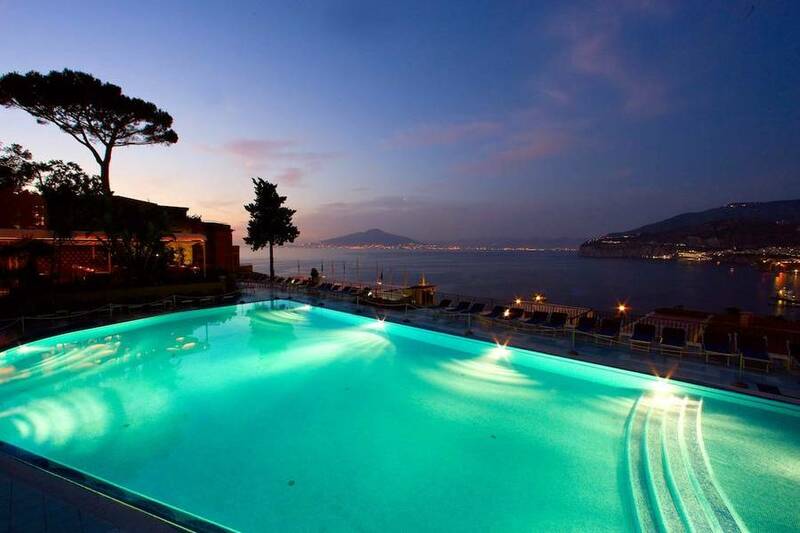 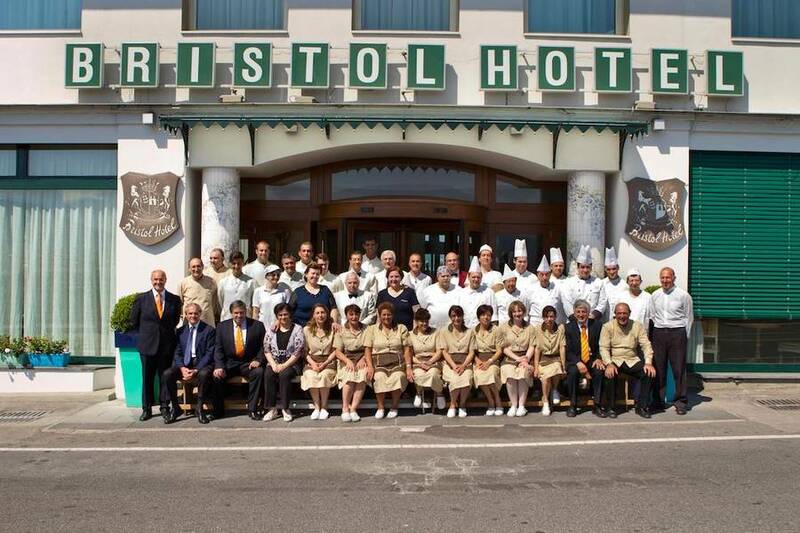 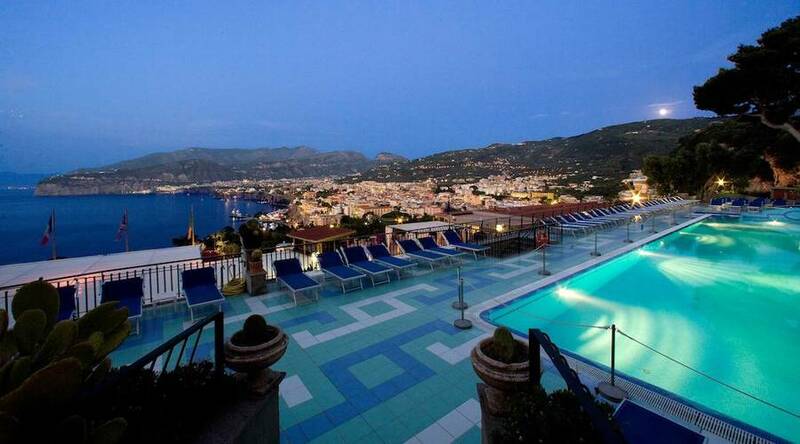 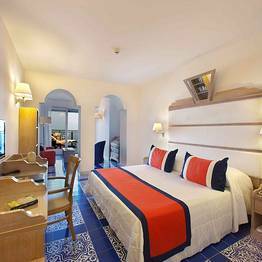 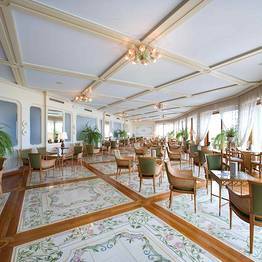 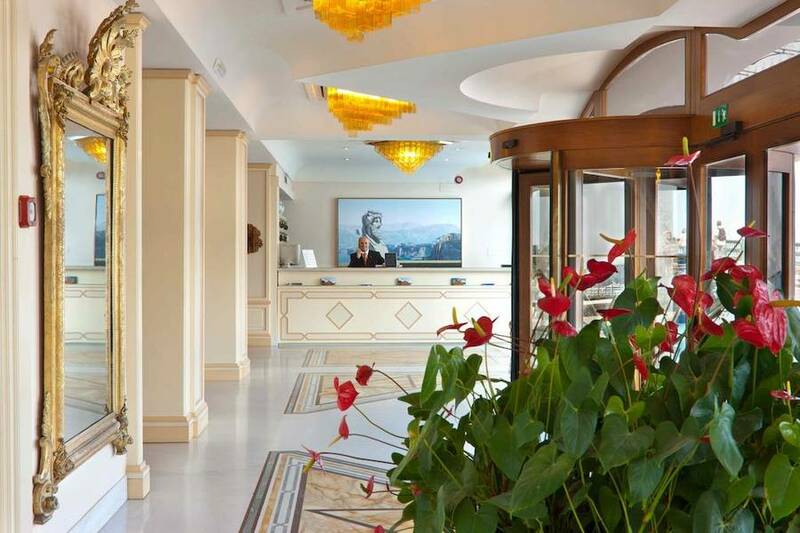 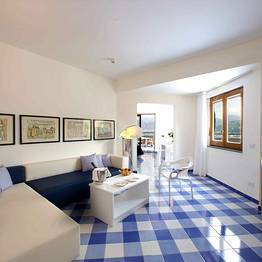 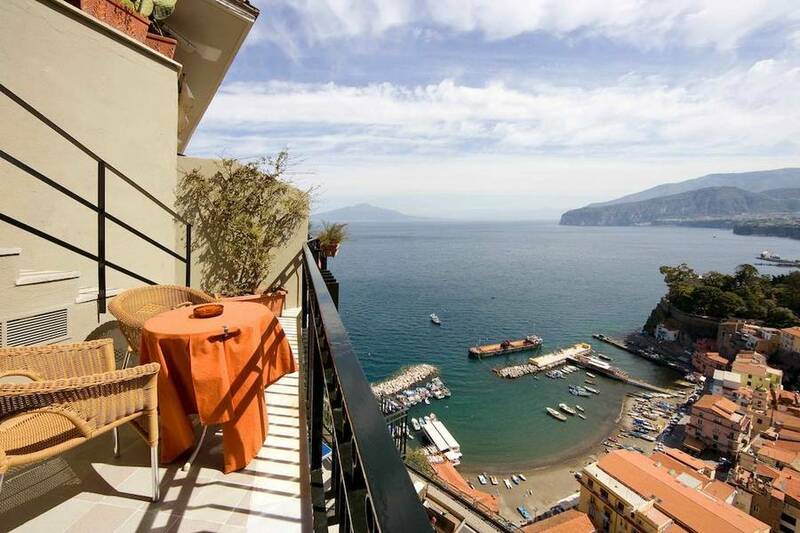 Book Hotel Bristol on SorrentoInsider now with no additional booking fees.